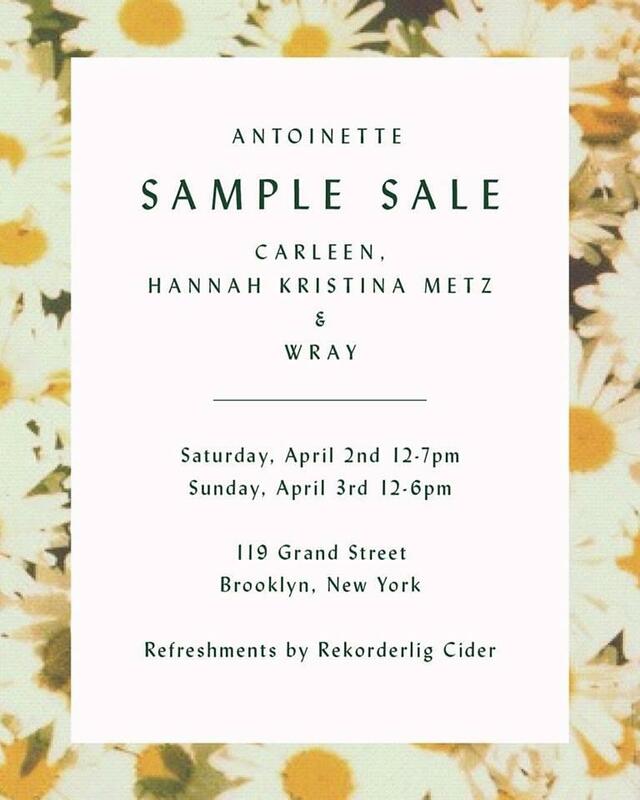 There will be samples from New York designers Carleen, Hannah Kristina Metz and WRAY in this two day sample sale at Antoinette in Brooklyn. And if that's not enough for you, there will be refreshments provided by Rekorderlig Cider too! Extended to include Tuesday April the 5th, due to popular demand! Note the shop is closed on Monday.